Outside of Columbia there are tons of fun events perfect for the family such as Boo at the Zoo, Holly Jolly Holiday Fair, Family Climb Night, and much more. There are also events special for the adults including an exhilarating evening at the Bluffton International & Craft Beer Fest. Through October 29 – Spooky Hayrides at the Palmetto Equestrian Therapeutic Riding Program in Clinton. Enjoy a spooky hayride through the woods, enjoy hot chocolate, roasted marshmallows and games. For more information call (864) 923-4998 or visit https://www.facebook.com/events/308359336205837/. Through October 30 – “The Curious Incident of the Dog in the Night-Time” at the Peace Center Concert Hall in Greenville. This five time 2015 Tony Award winning play will truly amaze you. For more information call (864) 467-3000 or visit http://www.peacecenter.org/events/detail/the-curious-incident-of-the-dog-in-the-night-time. October 26 – 28 – “Bill Blagg’s the Science of Magic” at the Gunter Theater in Greenville. Learn how science makes the impossible possible. For more information call (864) 467-3000 or visit http://www.peacecenter.org/events/detail/bill-blaggs-the-science-of-magic. October 27 – The President’s Own United States Marine Band at Mauldin High School in Mauldin. Come out and see America’s oldest continuously active professional musical organization in concert. For more information call (864) 335-4862 or visit http://www.mauldinculturalcenter.org/featured-events/the-presidents-own/. October 27 – Campfire Social Charity Event at Greenbriar Farms in Easley. Enjoy a fall evening of live entertainment by “The Soulfeathers”, visiting chefs, and breweries providing you with lots of great campfire fare while enjoying a variety of brews. For more information call (864) 855-9782 or visit http://www.greenbrierfarms.com/farm-news/28/3rd+Annual+Campfire+Social+Charity+Event. October 28 – “Viva Musica” at the Greenville Technical College Auditorium. The Greenville Concert Band will perform a variety of music to include patriotic and Broadway. For more information visit http://www.greenvilleconcertband.us/next-concert.html. October 28 – “Mac Arnold” and Plate Full o’ Blues at the Liberty Civic Auditorium in Liberty. You will be serenaded by great blues music by this famous South Carolinian as well as other great blues artists. For more information call (864) 855-3770 or visit http://www.libertycivicauditorium.com/event/mac-arnold-plate-full-oblues/. October 28 – 30 – Boo at the Zoo at the Greenville Zoo in Greenville. Enjoy a fun filled and safe trick-or-treat event for the kids, as well as a princess castle, and other kids activities to enjoy. For more information call (864) 467-4300 or visit http://greenvillezoo.com/260/Boo-in-the-Zoo. October 29 – Spooktacular 5K at the Anderson County Disabilities Board Building on McGee Road in Anderson. Put on your costume and enjoy a 5K individual or group, a 1 mile run/walk individual, and a 5K and fun run combo individual or group. For more information visit http://www.active.com/anderson-sc/running/distance-running-races/spooktacular-5k-acdsnb-2016?int=. October 29 – “The Avett Brothers” at the Bon Secours Wellness Arena in Greenville. Enjoy a great evening of entertainment by these wonderful entertainers. For more information call (864) 241-3800 or visit http://www.bonsecoursarena.com/events/detail/the-avett-brothers. October 29 – “Before Dark: Thrilling Treats & Ghostly Beats” at the Gunter Theater in Greenville. Presented by the Carolina Ballet, this event is based on Michael Jacksons “Thriller” and was created just for children. For more information call (864) 467-3000 or visit http://www.peacecenter.org/events/detail/before-dark-thrilling-treats-ghostly-beats. October 29 – “After Dark: A Thriller Ballet” at the Gunter Theater in Greenville. This unique show just for adults will thrill you with an eerie story line and thrilling music. For more information call (864) 467-3000 or visit http://www.peacecenter.org/events/detail/after-dark-a-thriller-ballet. October 31 – “The Strange Case of Dr. Jekel and Mr. Hyde” at the Younts Center for the Performing Arts in Fountain Inn. This is a live radio performance of the classic tale by Robert Louis Stevenson of a doctor turned monster. For more information call (877) 729-8845 or visit http://www.yountscenter.org/fireside-radio. October 31 – November 2 – “Brown Bear, Brown Bear” and Other Treasured Stories at the Gunter Theater in Greenville. With great puppetry and stunning scenes, children will absolutely enjoy this performance from the award winning Mermaid Theater of Nova Scotia. For more information call (864) 467-3000 or visit http://www.peacecenter.org/events/detail/brown-bear-brown-bear-and-other-treasured-stories. November 1 – Clusters for Kids Oyster Roast at the Arran Farm in Easley. Proceeds will benefit the local Guardian ad Litem program and local neglected and abused children. For more information call (864) 506-0737 or visit https://www.facebook.com/events/1510103755962014/. November 3 – “The American Chamber Players: Masterpieces Major, Minor, & Modern” at the Gunter Theater in Greenville. The performance will include guest artist, Janet Sung who will perform with her violin. For more information call (864) 467-3000 or visit http://www.peacecenter.org/events/detail/masterpieces-major-minor-and-modern. November 4 – Richland Creek Antique Festival at the Richland Creek Farms in Ward. Enjoy antique tractors, enjoy an antique tractor pull, let your kids ride in a peddle car, take a wagon ride, watch syrup being made, and so much more. For more information call (864) 445-2781 or visit http://www.richlandcreekantiques.com/. November 4 – 6 – Greenville Open Studios at various location in Greenville. Take a tour of the studios and see the amazing work of great artists in the area. For more information call (864)855-3770 or visit http://www.greenvillearts.com/mac-programs/open-studios/. November 4 -6 – Santa’s Shoppe at the Spartanburg Expo Center. You will enjoy viewing the works of over 50 specialty vendors from the southeast and beyond providing you the opportunity to get that head start on your holiday shopping. For more information call (864) 594-5000 or visit http://www.jlspartanburg.org/spartanburg/npo.jsp?pg=support6. November 5 – Fall Festival and Holiday Market at the Greenville Classical Academy in Simpsonville. Attendees will enjoy a gift bag, a hayride, animal balloons, inflatables, corn hole games, and more. For more information call (864) 3290-9884 or visit http://greenvillefallfestival.com/. November 5 – Foothillls Skills and Craft Show at the James Medford Family Event Center in Greenwood. You will find over 60 different vendors providing you with an array of items to choose from to begin your holiday shopping. For more information call (864) 941-8400 or visit http://www.visitgreenwoodsc.com/Home/Components/Calendar/Event/2146/348?curm=11&cury=2016. November 5 – Run for Life at the Caine Halter YMCA in Greenville. This is a 5K walk/run with the proceeds to go to cancer research. For more information call (864) 797-7738 or visit http://donate.ghsgiving.org/site/TR?fr_id=1090&pg=entry. November 8 – “Mercy Me Greater Than Tour” at the Bon Secours Wellness Arena in Greenville. Enjoy an evening of Christian music that will fill your heart and soul. For more information call (864) 241-3800 or visit http://iongreenville.net/bon-secours-wellness-arena-announces-mercy-me-greater-than-tour-event-nov-8th/. November 10 – “An Evening With Gladys Knight” at the Gunter Theater in Greenville. Enjoy a fun evening of entertainment by this solo artist and actress who has found herself a spot in the Rock and Roll Hall of Fame. For more information call (864) 467-3000 or visit http://www.peacecenter.org/events/detail/an-evening-with-gladys-knight. November 11 – 12 – Fall Dance by the students at Governors School of Dance at the Gunter Theater in Greenville. You will enjoy a range of works that showcase the ballet traditions by these talented young adults. For more information call (864) 467-3000 or visit http://www.peacecenter.org/events/detail/fall-dance. November 11 – 13 – Holly Jolly Holiday Fair at the Anderson Civic Center in Anderson. The event will include stages shows, local artisans, holiday crafters, gourmet foods, and so much more! For more information call (864) 710-7393 or visit http://www.hollyjollyholidayfair.com/. November 12 – Carolina Christmas Shop at the Union County Fairgrounds in Union. The event will provide you with over 50 vendors providing you with plenty of choices in which to find that one of a kind Christmas gift. For more information call (864) 427-9039 or visit https://www.facebook.com/carolinachristmasshop/. November 12 – Hope Relay at the Kroc Center in Greenville. Bring friends and family out to help raise funds for the Project Hope Foundation. For more information call (864) 907-8449 or visit https://hoperelay.org/. November 12 – Mushroom Cultivation Workshop at Mushroom Mountain in Easley. Learn the art of mushroom growing and harvesting by the extremely knowledgeable Tradd Cotter. 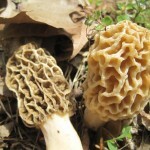 For more information call (864) 855-2469 or visit http://mushroommountain.com/products/workshopnov12. November 15 – Selugadu VIII: Native American Celebration at the Hagood Mill Historic Site and Folklife Center in Pickens. Enjoy a day filled with Native American singing, dancing, music making, storytelling, and more all in honor of Native American Heritage Month. For more information call (864) 898-2936 or visit http://www.visitpickenscounty.com/event/1081/selugadu-viii-a-native-american-celebration-at-the-hagood-mill/. Through October 29 – Western Carolina State Fair at the Aiken Fairgrounds in Aiken. Enjoy bull riding, a demolition derby, acrobatics, chainsaw art, live entertainment, fun amusement rides and game, lots of food, vendors, and much more! For more information call (803) 648-8955 or visit http://westerncarolinastatefair.com/. October 27 – Rhonda Vincent & The Rage at the McCelvey Center in York. This elite mandolin, guitar, and violin player with her new band will provide you with an evening filled with everything from bluegrasss to country. For more information call (803) 328-2787 or visit http://www.yorkcountyarts.org/2017-16-on-tour-rvatr?gclid=CM-Zi9-4yc8CFYESgQodEasMOg. October 28 – Second City Comedy at the Newberry Opera House in Newberry. Enjoy hilarious sketches, songs, and improvisation. For more information call (803) 276-6264 or visit http://www.newberryoperahouse.com/shows-and-events.html?show_name=second-city-comedy. October 26 – Warehouse Theatre: “Twelfth Night” at the Sumter Opera House in Sumter. Find yourself highly entertained by this great Shakespearian comedy. For more information call (803) 436-2616 or visit http://www.sumtersc.gov/season-schedule. October 28 – 29 – Jack-o-Lantern Jubilee in downtown North Augusta. This fun filled event will include entertainment on two stages with bands such as “The Gin Blossoms” and “Tonic, ” a variety of great food, arts and craft vendors, a corn hole tournament, amusement rides, and lots of activities for kids to include a costume contest, kiddie rides, and inflatables. For more information call (803) 441-4311 or visit https://www.jackolanternjubilee.com/. October 28 – November 13 – “I’ll Be Back Before Midnight” at the Center Theatre in Greenville. You will enjoy a night of unforgettable suspense at this fun and entertaining, and even scary, show. For more information call (864) 233-6238 or visit http://www.greenvillelittletheatre.org/2016-2017-season. October 29 – Ghost Stories for Kids at the Newberry Opera House in Newberry. Kids will enjoy tales told by a master storyteller. For more information call (803) 276-6264 or visit http://www.newberryoperahouse.com/shows-and-events.html. October 29 – Friendly City Ghost Walk at the Newberry Opera House in Newberry. A master storyteller will fill you in on the historical ghosts of the town while taking you on an evening tour. For more information call (803) 276-6264 or visit http://www.newberryoperahouse.com/shows-and-events.html. October 29 – Zombie Fest at a variety of locations throughout Sumter. There will be activities for adults only, to include a Monster Ball and Horror Film Festival, as well as family activities, such as Halloween Carnival and a Haunted House. For more information send an email to ypsumter@gmail.com or visit http://www.ypsumter.org/sumter-zombiefest. October 29 – Beyond the Gravestone at the Redcliffe Plantation State Historic Site in Beach Island. Tour a 150 year old cemetery, with a focus on its architecture, tombstone symbols, and learn of prominent individuals buried in the cemetery and the history of Beach Island. For more information call (803) 827-1473 or visit http://www.southcarolinaparks.com/products/10003348. October 29 – Fall Steeplechase at the Ford Conger Field in Aiken. Enjoy a day filled with horse racing, good food, great fun, and fellowship. For more information call (803) 648-9641 or visit http://www.aikensteeplechase.com/. October 29 – Last Saturday at the Park at the Living History Park in North Augusta. The Backwoods Cabin will be filled with activities of the 18th Century and enjoy interaction with the interpreters. For more information call (803) 279-7560 or visit http://www.colonialtimes.us/events.html. October 29 – Pumpkin Patch Express at the S.C. Railroad Museum in Winnsboro. Take a 6.5 mile train ride to a pumpkin patch where children will get to choose a pumpkin to take home with other children’s activities being provided. For more information call (803) 712-4135 or visit http://fairfieldchamber.sc/m/events/view/Pumpkin-Patch-Express-Train-Rides. October 29 – Spooky Science Saturday at the Museum of York County in Rock Hill. Tour the Piedmont Galleries by flashlight, meet the native ghost owl, solve a spooky mystery, listen to tales around the campfire, and experience an eerie Planetarium show. For more information call (803) 909-7244 or visit http://www.visityorkcounty.com/event/11642/. October 31 – BooHaHa at Fountain Park in Rock Hill. Bring the kids out for a safe trick-or-treating event at more than 20 vendors, with a costume contest, a dance party, and meet “Maxx” the 10 foot robot. For more information call (803) 324-1340 or visit http://www.wrhi.com/events/boo-haha. November 3 – “High Valley” at the Sumter Opera House in Sumter. You will surely enjoy this country/bluegrass band who won Band of the Year last month in Canada. For more information call (803) 436-2500 or visit http://www.sumtersc.gov/season-schedule. November 3 – 4 – VoicePlay at the AECOM Center for the Performing Arts in Aiken. This A Capella group will truly amaze you with their recreation of a theatrical musical with just their human voices. For more information call (803) 643-4774 or visit http://www.apagonline.org/seasons/2016-2017/voiceplay.html. November 3 – 6 – Katydid Combined Driving Event at the Katydid Farm in Windsor. Watch a variety carriage classes vie for the top prize in these fun to watch races. For more information call (803) 295-6785 or visit http://katydidcde.com/. November 4 – 5 – “Heathers: The Musical” at Winthrop College in Rock Hill. Based on one of the greatest teen comedies of all time, you will most certain find yourself in stitches throughout the show. For more information call (803) 323-2211 or visit http://www.winthrop.edu/cvpa/theatredance/Default.aspx?id=13535. November 4 – 6 – Southern City Film Festival in downtown Aiken. This event will showcase the talent of local individuals. For more information send an email to hello@southerncity.org or visit http://www.southerncity.org/. November 4 – 13 – “A Few Good Men” at the Spartanburg Little Theatre in Spartanburg. This Broadway hit about two marines on trial for the death of a fellow Marine at Guantanamo Bay presents the trail on the stage and will keep you well engrossed in the presentation. For more information call (864) 585-8278 or visit http://www.spartanburglittletheatre.com/2016-2017-season. November 5 – “Rock Machine” at the Sylvia Theater in Rock Hill. This Rock tribute band is back based on popular demand to give you another great rock performance! For more information call (803) 684-5590 or visit http://www.sylviatheater.com/. November 5 – Day of the Dead Tequila, Taco Fest, and Fun Walk at the Springs House / Lancaster County Council of the Arts in Lancaster. Enjoy a family fun walk and then enjoy an evening adult festive of marguerites, chips & salsa, tacos and lots of great fun! For more information call (803) 285-5471 or visit http://www.lccarts.net/night-of-the-living-arts. November 5 – Pine Needle Basket Workshop at Lee State Park in Bishopville. Learn how to make your own long leaf pine needle basket with the help of this talented park ranger. For more information call (803) 428-4988 or visit http://southcarolinaparks.com/products/10003719. November 5 – 6 – Revolutionary War Field Days at Historic Camden in Camden. Take a journey through the past as reenactors from more than 20 states will have British and Continental camps set up for the oldest Revolutionary War reenactment in the United States. For more information call (803) 432-9841 or visit http://historiccamden.org/. November 7 – Annual Veterans Concert at Grace United Methodist Church in North Augusta. This concert in honor of current and past veterans will be filled with patriotic music by the Savannah River Winds band. For more information call (803) 442-7588 or visit http://www.naartscouncil.org/common/content.asp?PAGE=353. November 9 – “FAME The Musical” at the Newberry Opera House in Newberry. Based on the Academy Award winning film, you will enjoy an evening of music and dance. For more information call (803) 276-5179 or visit http://www.newberryoperahouse.com/shows-and-events.html?show_name=fame-the-musical. November 10 – “KamiKazi Fireflies” at the Newberry Opera House in Newberry. Rob Williams and Casey Martin will present their show, party comedy, part circus; you will see things you have never seen before! For more information call (803) 276-5179 or visit http://www.newberryoperahouse.com/shows-and-events.html?show_name=kamikaze-fireflies. November 10 – Chocolate Extravaganza at the Events at Manchester in Rock Hill. Enjoy a delicious dinner, live music, a silent and live auction, and enjoy watching several local restaurants to vie for the best chocolate dessert. For more information visit http://keystoneyork.org/subpage.aspx?id=66&pid=47. November 10 & 12 – Floral Demonstrations by Designer Don Chestnut at the Weldon Auditorium in Manning. This floral designer will present a variety of his works and hold a Holiday Centerpiece Workshop. For more information call (803) 478-6062 or visit http://www.theitem.com/stories/flower-designer-to-share-talents,278255?. November 11 – Youth Theaters “Little Women” at the Newberry Opera House in Newberry. Every girl should see this theatrical rendition of the Louisa May Alcott story. For more information call (803) 276-5179 or visit http://www.newberryoperahouse.com/shows-and-events.html?show_name=youth-theatre-louisa-may-alcott-s-little-women. November 11 – “Langley Winds Chamber Ensemble” at the Sumter Opera House in Sumter. Enjoy a variety of musical styles by this woodwind and percussion ensemble. For more information call (803) 436-2616 or visit http://www.sumtersc.gov/season-schedule. November 12 – Tail Wag Fun Day at Langley Pond Park in Burnettown. Start the event off with a 2.8 mile hike on Langley Loop Trail followed by dog contests, entertainment, vendors, dog rescues, and more. 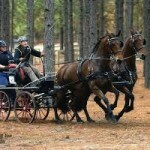 For more information call (803) 642-7557 or visit http://trailwagfunday.weebly.com/about.html. November 12 – Scottish Games and Scotch-Irish Festival at Blue Eagle Academy in Clover. Enjoy Border Collie demonstrations, Irish dancers, a puppeteer, storytelling, Celtic music, traditional food, and of course, the athletic games. For more information call (803) 222-9495 or visit http://www.visitrockhillsc.com/events/clover-highland-games-scots-irish-festival-kick-off-party-feis-chlobhair/. November 13 – Oyster Roast at Waldrop Farm on Spearman Road in Newberry. Enjoy fabulous oysters, shrimp, and BBQ, along with beer and wine, great fun and good fellowship. For more information call (803) 276-5179 or visit http://www.newberryoperahouse.com/shows-and-events.html?show_name=oyster-roast-guild-fundraiser. Through October 28 – 30 – Ghost Tours of Beaufort in downtown Beaufort. Take a carriage or walking tour through the historic district and hear the haunting tales of the area. For more information call (843) 524-4678 or visit http://capabeaufort.org/events/ghost-tours/. Through October 30 – Fall Tours of Homes and Gardens in downtown Charleston. Thursdays through Sundays you will have the pleasure of seeing some of the most beautiful historic homes and gardens you have ever seen. For more information call (843) 722-4630. Through October 31 – Terror Under the Bridge at the X Sports Mall in Myrtle Beach. This is a fun, chilling, and scary haunted attraction that won’t disappoint you! For more information call (843) 457-1329 or visit https://myrtlebeachhauntedhouse.net/. October 26 – “Rent 20th Anniversary Tour” at the North Charleston Coliseum in Charleston. This Pulitzer Prize and Tony Award winning masterpiece will inspire anyone trying to reach a dream and struggling to hang on. For more information call (843) 529-5000 or visit https://www.northcharlestoncoliseumpac.com/events/detail/rent. October 27 – Legends & Ghost Stories from the South at the Morris Center for Low Country Heritage in Ridgeland. Included will be a collection from numerous ghost stories and scary tales to create an evening of haunting entertainment for adults and children alike. For more information call (843) 284-9227 or visit http://www.morrisheritagecenter.org/events/legends-and-ghost-stories-from-the-south/. October 27 – November 6 – Coastal Carolina Fair at the Exchange Park in Ladson. Its here and filled with lots of fun and excitement, to include entertainment by “Granger Smith, “Locash, John Michael Montgomery”, and “Three Dog Night” as well as a magician, dancers, and so much more. For more information call (843) 572-3161 or visit http://www.coastalcarolinafair.org/. October 28 – “Bonnie Raitt: Dig in Deep” at the North Charleston Coliseum in Charleston. This talented musician has put out a new album and she’s ready to present it to you on stage! For more information call (843) 529-5000 or visit https://www.northcharlestoncoliseumpac.com/events/detail/bonnie-raitt. October 28 – 29 – Atalaya Fall Festival and Haunted Castle at Huntington Beach State Park in Murrells Inlet. Enjoy an evening of spooky fun with two separate haunted house attractions, a not-so-frightful maze of creepy rooms, ghost stories, a Haunted Castle, and much more. For more information call (843) 235-8755 or visit http://www.southcarolinaparks.com/products/10003985. October 28 – 30 – Fall Festival of Houses and Gardens at various locations in Beaufort. Tour some of the most historic and beautiful houses and gardens in the area. For more information call (843) 916-2000 or visit http://www.historicbeaufort.org/fall-festival/. October 28 – 30 – Exchange Club Ghost Tours at 1006 Bay Street in Beaufort. Take a carriage ride or a walking tour through historic Beaufort and hear the haunting stories as past down through generations of local residents, and just maybe you’ll see a “vision” of your own! October 29 – Endless Summer Festival on Main Street in North Myrtle Beach. Enjoy a fun filled day of entertainment, fun, crafts, food vendors, and children’s activities to include carnival rides. For more information call (843) 281-2662 or visit http://www.explorenorthmyrtlebeach.com/events/endless-summer-festival/. October 29 – Zombie Run at the Calhoun Street Promenade in Historic Bluffton. Step in to your Halloween costume and enjoy a 5K and 1 mile fun run, followed by fun activities such as a pumpkin toss, food, live entertainment, trick-or-treating, a costume contest, and more. followed by For more information visit http://www.bearfootsports.com/BlufftonMile.htm. October 29 – Head for the Cure 5K at the Palmetto Island County Park in Charleston. This 5K run or walk is to raise funds and educate individuals about brain cancer. For more information visit http://events.headforthecure.org/site/TR?fr_id=1391&pg=entry. October 29 – Run for Rina at James Island County Park in Charleston. This 5K walk/run will be followed by games, food trucks, brews, and a costume contest. For more information visit http://rinafoundation.org/Run%204%20Rina.html. October 29 – Kiawah Cup Island Beach Race at the Sandcastle Community Center and Beach on Kiawah Island. Enjoy a cocktail hour and then watch the Marsh Tacky races on the beach followed by a reception. For more information call (843) 768-9194 or visit http://www.kiawahcares.org/kiawah-cup/. October 29 – Howl-O Scream at the North Myrtle Beach Park and Sports Complex in Little River. Event will be filled with activities such as hay rides, marshmallow roasting, trick-or-treat, scare free zones and zones for those wishing to be scared. For more information call (843) 280-5570 or visit http://parks.nmb.us/festivalsevents/special-events/howl-o-scream/. October 30 – South Carolina’s Historical Society’s Fall Tour: Beaufort at a variety of locations in the Low Country area. View historical locations in Beaufort, and on Parris Island, and St. Helena Island. For more information visit http://schistory.org/explore/events/2016-fall-tour/. November 2 – 6 – Charleston International Film Festival at Charleston Music Hall. This event showcases of all aspects of filmmaking with the intent of educating the public through the art and science of film. For more information call (843) 817-1617 or visit http://www.charlestoniff.org/. November 4 – The Strawberry Bash at the Music Farm in Charleston. Fill you evening with entertainment by artists to include Kilgo and DJ Marley. For more information visit http://www.musicfarm.com/event/1342309-strawberry-bash-charleston/. November 4 – 6 – Motoring Festival and Concours d’Elegance at the Port Royal Golf Club on Hilton Head Island. Attendees will be exposed to the past, present, and future of autos and aviation as well as iconic vehicles from movie and television from the past and even those films yet to be shown. 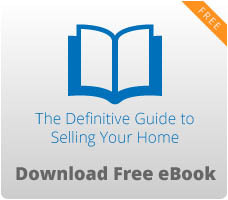 For more information call (843) 785-7469 or visit http://www.hhiconcours.com/events/overview.html. November 5 – “Jeff Dunham” at the North Charleston Coliseum in North Charleston. This tremendously funny comedian and ventriloquist will keep you laughing until the tears begin to flow. For more information call (843) 529-5000 or visit https://www.northcharlestoncoliseumpac.com/events/detail/jeff-dunham-1. November 5 – The Hippie Dash at Park Circle in North Charleston. Put together your best 70’s attire and come out for this 5K run/walk to celebrate National Disabilities Awareness Month with all proceeds to benefit the Special Olympics. For more information visit http://thehippiedash.everydayhero.do/. November 5 – St. Helena’s Parrish Faire at the Parrish Church of St. Helena. Enjoy outdoor entertainment, a street faire food court, a kids kingdom, organ demonstrations and recitals, and a church and cemetery tour. For more information call (843) 522-1712 or visit http://www.sthelenas1712.org/events/parish-faire/. November 5 – Bluffton International & Craft Beer Fest at the Bluffton Oyster Factory Park in Bluffton. Attendees will enjoy a large variety of the worlds best ales, stouts, lagers, pilsners, and more. For more information call (843) 757-8520 or visit http://blufftonbeerfest.com/. November 5 – Farmer’s Table Dinner at Habersham Marketplace in Beaufort. Attendees will enjoy a fabulous 6 course meal in this beautiful downtown location. For more information call (843) 846-3444 or visit https://www.facebook.com/events/645408618955695. November 5 – Harvest Festival at the Mullet Hall Equestrian Center on John’s Island. You’ll enjoy entertainment by 5 local bluegrass bands, take a hay ride, decorate a pumpkin, try your hand at archery, enjoy good southern foods, and more. For more information call (843) 795-4386 or visit https://ccprc.com/138/Harvest-Festival. November 5 – Lowcountry Hoedown at the Visitor Bus Shed in Charleston. Enjoy southern bluegrass, brews, bourbon, and BBQ. For more information send an email to info@gustogroupllc.com or visit http://www.lowcountryhoedown.com/. November 5 – Movie Night in the Park: “Cars” at Shelter Cove Community Park on Hilton Head Island. Kids will enjoy the movie and will get the chance to see the actual Lightening Queen and meet with the Creative Director of the movie. For more information call (843) 686-3090 or visit http://www.sheltercovetownecentre.com/events/2016/11/5/movie-night-in-the-park-with-cars. November 5 – South Carolina Pecan Festival in downtown Florence. This event will include an entire day of live entertainment on several stages, a pub, a cook-off, a bike race, a 10K or 5K run, a kids zone, and much, much more! For more information call (843) 678-5912 or visit http://www.florencedowntown.com/downtown-events/pecan-festival/. November 5 – 6 – Folly Jazz Festival at the Courtyard of Jack of Cups on Folly Beach. This free event to educate the public about jazz and the culture that surrounds it with a huge line-up for this two day event that you just don’t want to miss! For more information visit http://www.follyjazzfestival.com/. November 5 – 6 – Arts Festival and Pauwau at the Waccamaw Tribal Grounds in Aynor. Experience a day with the Waccamaw Tribe who will have a weekend filled with dancing, drumming, singing, vendors with traditional wares for sale, and food to eat. 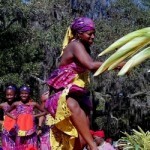 For more information call (843) 358-6877 or visit https://en-us.fievent.com/e/24th-annual-cultural-arts-festival-pauwau/4019747. November 5 – 6 – Art in the Park at Chapin Memorial Park in Myrtle Beach. Come out and take a look at some of the some of the greatest local artwork in the area. For more information call 9843) 446-3830 or visit http://wacg.org/art-in-the-park/. November 5 – 6 – Charleston Mac-Off at The Grove at Patriots Point in Mount Pleasant. Come out and try a variety of macaroni and cheese made by local restaurants and vote for your favorite! For more information call (843) 640-3800 or visit http://www.charlestoncvb.com/events/7th-annual-charleston-mac-off~9775/. November 9 – 12 – Castra Romana: Bringing Rome to Life at 104 Hunters Wood Drive in Summerville. The event is open to the public on the 12th, so come out for a day and experience life as the Romans did. For more information call (843) 437-5587 or visit http://legvi.tripod.com/castroromani/. November 10 – 13 – Dicken’s Christmas Shows and Festivals at a variety of locations around Myrtle Beach. The center of the event will be a Victorian Holiday Market at the Myrtle Beach Convention Center with an amazing number of vendors with everything you could possible think of to purchase. For more information call (843) 448-9483 or visit http://www.dickenschristmasshow.com/index.php. November 10 – 13 – Heritage Days Celebration: Remembering Our Roots, Embracing Our Future at the Penn Center on St. Helena’s Island. This event is to honor the founding of the school and all things Gullah with live performances, a parade, educational symposia, vendors, food, crafts, and lots of good family fun. For more information call (843) 838-2432 or visit http://www.penncenter.com/events/2016/11/10/34th-annual-heritage-days-celebration. November 11 – Holiday Festival of Lights at James Island Park on James Island. The lights are back for another year of holiday wonder that you won’t want to miss! For more information call (843) 795-4386 or visit http://ccprc.com/1546/Holiday-Festival-of-Lights. November 11 – “Eric Johnson” at the Charleston Music Hall in Charleston. Enjoy an evening of great acoustic guitar and piano by this fantastic musician. For more information call (843) 853-2252 or visit http://charlestonmusichall.com/event/eric-johnson/. November 11 – 12 – YALL Fest: Charleston Young Adult Book Festival at a variety of locations throughout Charleston. Young adults will have the opportunity to hear from a variety of authors, purchase signed books, and have a lot of fun! For more information call (843) 722-2666 or visit http://yallfest.org/. November 11 – 12 – Lowcountry Reads for the Holidays at Christ Lutheran Church on Hilton Head Island. This weekend will be a chance to meet with a variety of Lowcountry authors with Friday evening being a dinner with Mary Kay Andrews at the Country Club and Saturday being filled with 15 writers workshops, book talks, and a children’s corner story time. For more information call (843) 686-6560 or visit http://heritagelib.org/. November 11 – 12 – Smoke on the Harbor BBQ Throwdown at the Lookout Pavilion at Charleston Harbor Resort and Marina in Mount Pleasant. This State Championship will provide you with a night of wings and a day of BBQ competition, live entertainment, a cocktail competition, and a Kids Zone. For more information call (843) 284-7022 or visit http://www.smokeontheharbor.com/. November 11 – 13 – Oyster Festival at the Shelter Cove Community Park on Hilton Head Island. You will have the opportunity to enjoy oysters anyway they can be cooked and other delicious food for the non-oyster eater, all while enjoying live entertainment, watching football games, marshmallow roasting, and a play area just for the kids. For more information call (843) 681-7273 or visit http://www.sheltercovetownecentre.com/events/2016/11/11/oyster-festival. November 12 – Park Day on Daniel Island at Children’s Park at the end of River Landing Drive on Daniel Island. Kids will enjoy a day of pony rides, train rides, climbing walls, a BMX Bike Show, acrobatics, and so much more! For more information call (843) 971-4401 or visit http://www.danielislandparkday.com/. November 12 – Atalaya Sleepover at Huntington State Park in Murrells Inlet. Spend a night at the castle, sit around the campfire and hear ghost stories, make s’mores, take a night walk on the beach, and tour the castle. For more information call (843) 235-8755 or visit http://www.southcarolinaparks.com/products/10004217. November 12 – Beaux Arts Ball at Tabby Place in Beaufort. Your evening will be filled with art, music, canvas, design, and flavor, as well as the fun of a silent auction. For more information call (843) 379-2787 or visit http://www.beaufortartscouncil.org/beaux-arts-ball. November 12 – Hilton Head Island Bridge Run at Crossings Park on Hilton Head Island. This wil be a 10K road race and a 5K fun run and health walk taking participants over the scenic waterway. For more information call (843) 757-8520 or visit http://www.bearfootsports.com/hh_bridge_run.htm. November 12 – 13 – Art in the Park at Valor Park in Myrtle Beach. Get a start on that holiday shopping by finding that really unique gift you can be sure no one else will buy. For more information call (843) 446-3830 or visit http://wacg.org/art-in-the-park/. November 13 – Charleston Coffee Cup at Memminger Auditorium. Finally an event for the coffee drinkers with a chance to sample a variety of coffees from local roasters and coffee shops, enjoy good brunch foods, view art from the various coffee shops in Charleston, enjoy live entertainment, and there will even be kids’ activities. For more information visit http://charlestoncoffeecup.com/. November 13 – Charleston Horticulture Society Oyster Roast at McLeod Plantation on James Island in Charleston. Enjoy roasted oysters, hot dogs, and brews while enjoying live entertainment under the beautiful moss filled oaks of the Plantation. For more information call (843) 579-9922 or visit http://chashortsoc.org/chs-oyster-roast/. November 13 – Hilton Head Symphony Orchestra: “Viva Espana” at the First Presbyterian Church on Hilton Head Island. Enjoy the vibrant music of the Latin culture in works by Gerswin, Lalo and De Falla. For more information call (843) 842-2055 or visit http://www.hhso.org/?event=viva-espana.